When I go out to eat at a restaurant the main things I’m looking for are great, reasonably priced food. 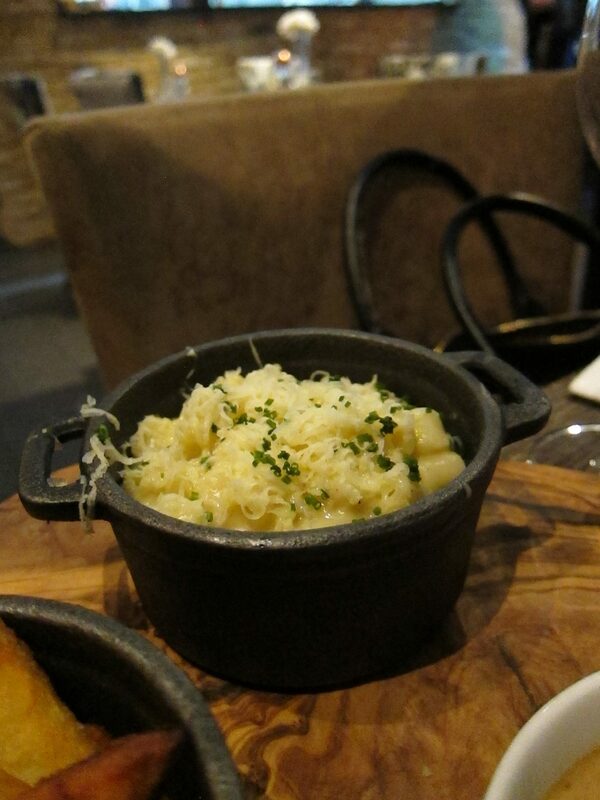 Park’s Edge Bar and Kitchen is a restaurant that ticks the boxes. Located in Herne Hill it has a great view overlooking Brockwell Park. 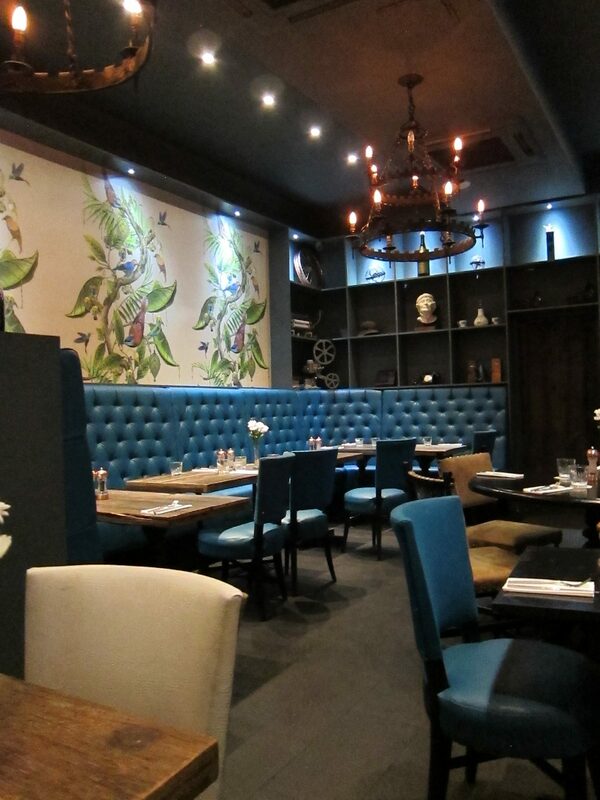 The restaurant serves up modern British food with a nod to Caribbean flavours. Don’t be expecting standard Caribbean foods such as curry goat, jerk chicken or ackee and saltfish, but instead twists on these such as jerk hummus. The Caribbean offerings have a more refined take, an example of this can be seen in a starter of Jamaican smoked herring ‘Solomon Gundy’ on roti. I remember this in my youth as a strong tasting, smoked fish paste eaten with crackers. 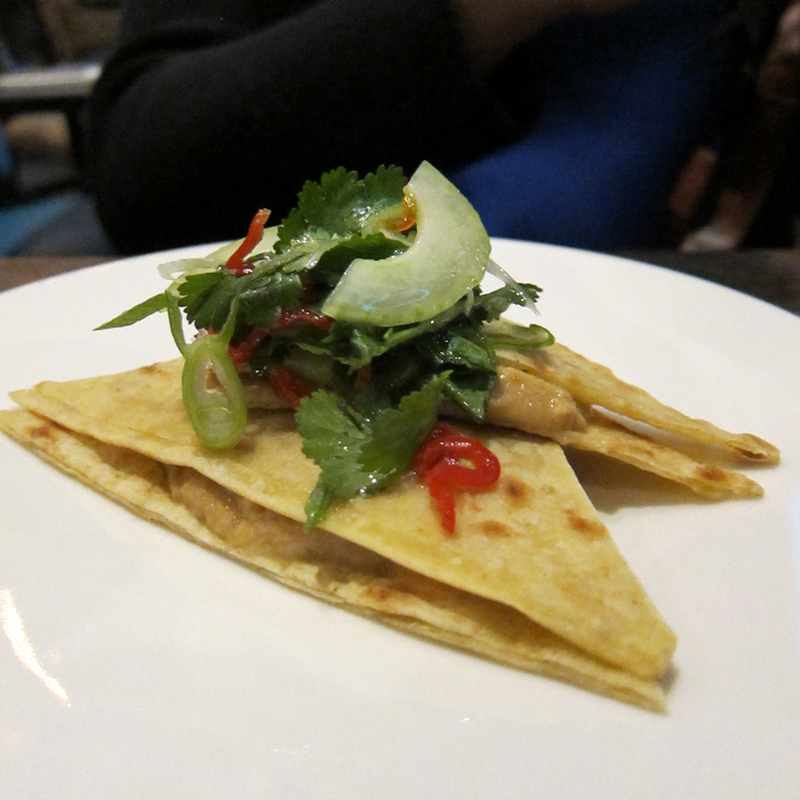 Here it is much lighter, but just as tasty complemented by a fresh coriander salsa and delicately flavoured roti. Head Chef Tom Spinks, has a deft, confident hand when it comes to balancing spices. A starter of Peppered Calypso Garlic Shrimp is simply delicious dish. The crisp garlic pieces in it gives a beautiful pop of flavour. 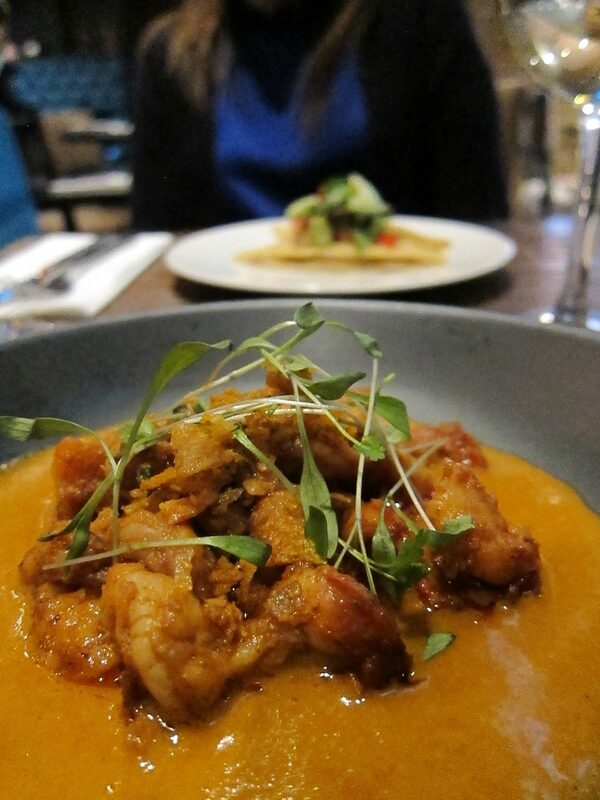 Only thing missing is something to mop up the sauce – a roti would be a great addition. 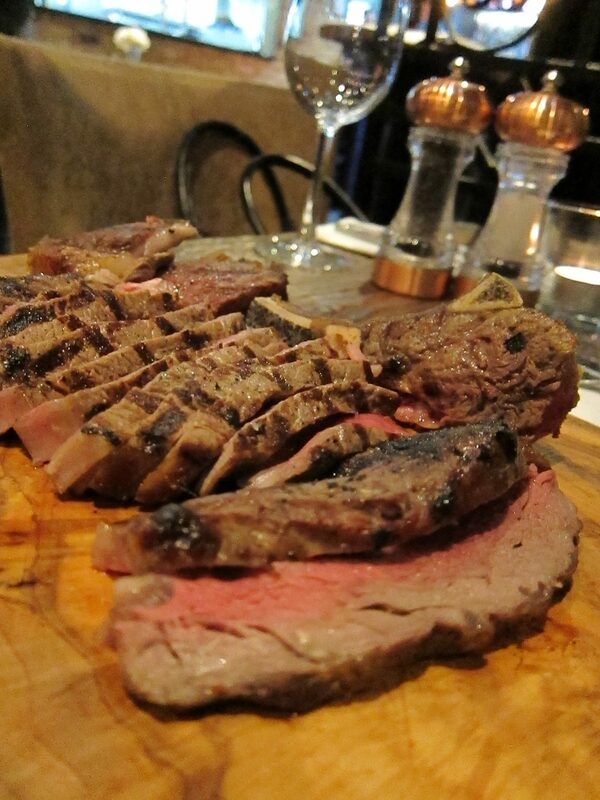 28-day dry aged Cote de Boeuf for two served with roast tomato, rum peppercorn sauce, leek mac ‘n’ cheese and triple cooked chips is a stellar main. All cooked to perfection with a nice pairing of Altos Las Hormigas Malbec Terrior, 2017. 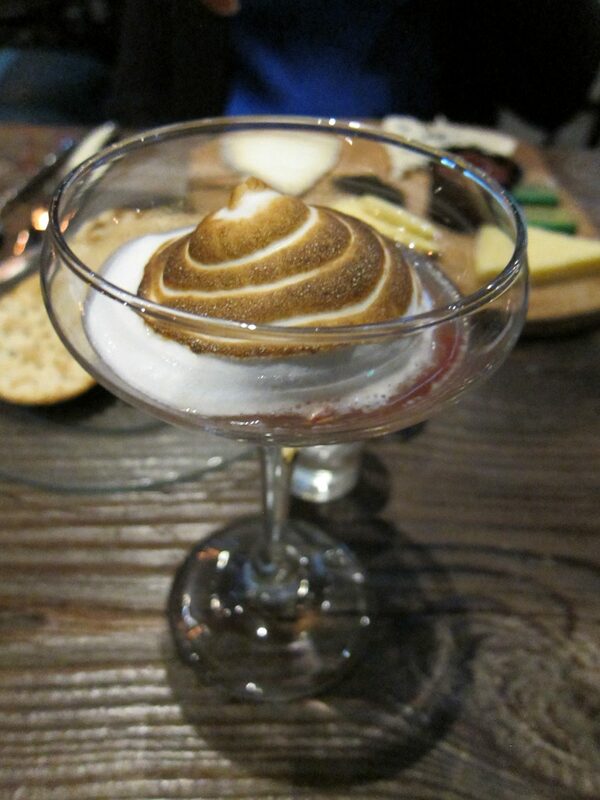 A dessert of rhubarb and rose meringue, rhubarb sorbet and pink peppercorns is the only slight on a very good meal. The meringue is a little sloppy making it a cross between a cocktail and a dessert, however, the flavours are good. 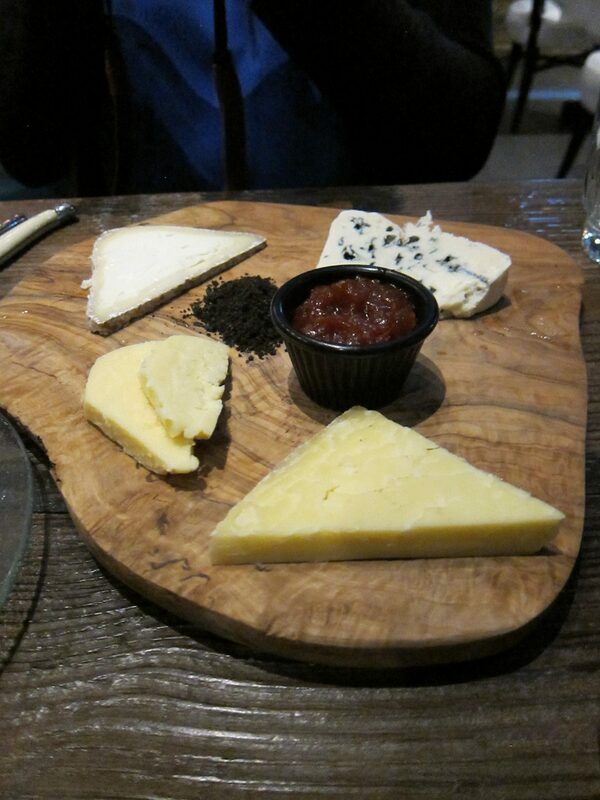 So too is the sharing cheese board, with has a good selection of cheese that are mostly sourced from neighbourhood cheesemonger, Mons Cheesemonger. The Comte is my favourite. Park’s Edge Bar and Kitchen knocks it out of the park for classy food in a classy setting. 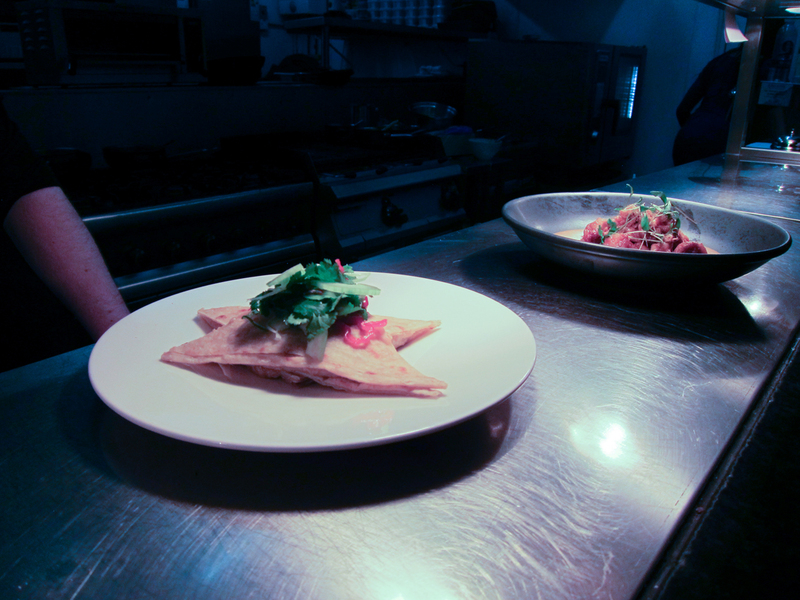 Starters are from £6.75, mains from £13.50 and desserts from £6.75.